Lenovo K6 expected price in India is ₹7,999. Lenovo IFA 2106 press event was decorated with K6 series smartphones alongside A Plus and P2. The two later handsets are less likely to be released in the Indian market. There are three handsets in K6 sisterhood- the K6 Note, K6 Power, and K6. The K6 series handsets feature modest differences with respect to each other. 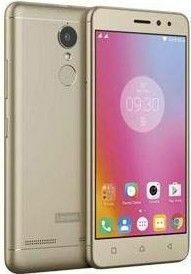 Being the most affordable of the lot, the Lenovo K6 flaunts a 5-inch full HD (1080x1920) IPS LCD display which offers a pixel density of 441 PPI. Under the hood, K6 is powered by 1.5GHz octa-core Snapdragon 430 SoC paired with Adreno 505 GPU, 2GB RAM, and 16GB/32GB internal storage space (expandable up to 256GB via microSD card). All these features are clubbed within a metal unibody with visible antenna bands on the rear panel. The fingerprint scanner is also placed on the back panel for the sake of biometric authentication. Lenovo K6 runs Pure UI on top of Android 6.0 (Marshmallow) out-of-the-box. Unlike K6 Note and K6 Power, the handset uses a relatively smaller 3,000 mAh battery to power its components. It supports dual SIM cards (Micro + Nano) and you can choose from three available colors- Silver, Gold, and Dark Grey. Connectivity options and other basic features include Wi-Fi 802.11 b/g/n, Bluetooth 4.1, A-GPS, MicroUSB v2.0 and Dolby Atmos sound (for immersive Audio experience). Lenovo K6 price in India is expected to be 7,999 INR. There is no official word about the exact date of launch of the handset in the Indian market.